As we continuously participate in the transition from viewing ourselves as static, fixed entities and consider a larger process of becoming, it only makes sense to apply this philosophical shift directly to our birth charts. Astrologically, oppositions are aspects of awareness. Rather than view them as two forces “at war’ with one another, we can use them to gain a heightened clarity or objective enlightenment of sorts. Although we may be dealing with two different poles of the psyche, the key is to integrate them in service of becoming a more complete person. Through working with Astrological oppositions, what we’re hopefully seeking is a greater sense of unity where every part of ourselves is valued instead of creating irreconcilable differences where certain parts of us are perceived with the labels of “good” or “bad”, and we deem it necessary to then destroy one and catapult the other to majestic heights. By taking a view of the cosmos which is complementary, we recognize that planetary and sign archetypes are forces which are both interdependent and necessary to our wholeness. If we take the antagonistic stance, we may find ourselves tending toward a split, or compartmentalization which can possibly lead to our isolation, separating us from the universe. In this fragmented state, our psyches beg for balance. To provide a brief example, I’ll use the Leo/Aquarius axis. Let’s say the Sun is placed in Aquarius, which suggests aspirations toward individuation which connect to social progress, while a Leo Moon reflects emotional fulfillment and gratification through the validation of one’s identity, which is being pursued in Aquarius. Additionally, the Moon in Leo suggests nourishment through a celebration of special attributes, as a reinforcement of self-esteem feeds the sense of security. In what ways can we receive the individual validation which we need while participating in the large scale advancement of humanity? In our efforts toward personal integration, we may contemplate deeply on possibly why we wish to receive attention and exactly what type of recognition we expect for contributing to societal progress. After all, change doesn’t occur in a vacuum and it’s a fact that awakening and emancipation is a group effort. Who’s to say that we’re more significant than anyone else? Taking the unified approach, the Leo/Aquarius axis is an illuminated connection with the social circle of life while using creative self-expression and inventive genius to electrify the world we live in, for the benefit of EVERYONE. The “show” is contained in the progress. In it’s more distorted form, it can manifest as a preoccupation with self-importance that’s oblivious to the magic we can experience through our own personal breakthroughs, as well as potentially opening doors for others to do so. There’s a possibility of ego needs which demand excessive attention, which in actuality, can serve as a masking for lack of genuine confidence. In the end, it’s about where we choose to put our focus. We can rationalize our oppositions as an internal conflict with no solution, or take a more empowered approach which says that aiming toward a more balanced psyche is effective medicine for what ails us. “The Integrity of Personality” by Anthony Storr. As a professional Astrologer who interprets birth charts, I find the Moon’s nodes not only to be fascinating cosmic food for thought, but also to be an accurate and dynamic synthesizer of an individual’s planetary sub-personalities and overall life purpose. 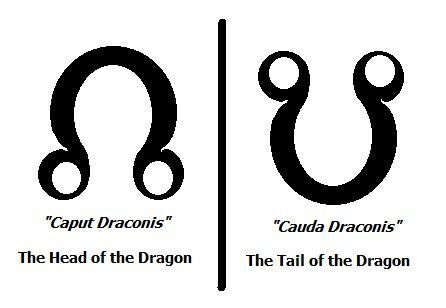 The North Node and South Node are mathematical points in space, they are not physical bodies. Unlike the planets, they add no “flavor” to the expression of the signs. However, they are one of the most important overall placements within a person’s natal chart. 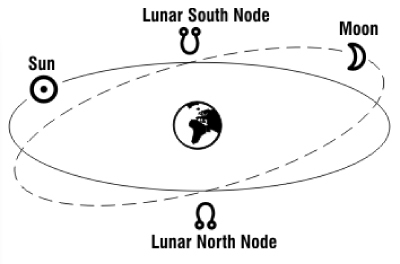 Locating the nodes is relatively easy, as the symbol of the South Node resembles upside down headphones, and the North Node looks like the same headphones right side up. You will always find them separated by an 180 degree angle. So, the signs and houses always oppose one another (example: North Node in Capricorn in the 1st House= South Node in Cancer in the 7th House). If you flip through a typical traditional astrology text, you may indeed discover that the description of the nodes is ultra simplified. Almost as if the South Node is exclusively “bad” and should be avoided at all costs, while the North Node is “good” and by itself, the key to our kingdoms and queendoms. This interpretation is very misleading and does not support the holistic philosophy of astrological integration. While there are no personality characteristics attached to these vital points, I would like to think of them as “evolutionary advice” or “cosmic counsel”. Optimally, we are seeking to find the balance between the nodes in order to push ourselves to the locale of where our greatest growth strides can be found based on sign and house placement. The South Node represents our past inheritance of skills and abilities. It’s the toolbox that we’ve already arrived in this world possessing. We’ve been there, done that and have the t-shirt to prove it. However, if we simply keep repeating what we’ve done in the same fashion, we will find ourselves in a trap which offers us no new growth. In turn, we will continue to produce the same results. That is, unless these South Node talents are used to assist us in moving toward our North Node. In our charts, the North Node’s sign tells us what “style” we would be best served to exhibit in pursuit of our new life direction. The house location lets us know the life area where we should direct our focus. The North Node is foreign to us; it’s a stretch and a hurdle. If the South Node is a slam dunk, then the North Node is a three pointer. However, with a robust effort and a commitment to making growth choices in our lives, the North Node and any planets which form aspects to it, assist us in our quest for wholeness. In essence, the key to our kingdoms and queendoms is not the outright abandonment of one node in feverish pursuit of the other, but a blending and synthesis of both nodal energies. If you ask most Astrologers, chances are that they’ve heard statements similar to these a countless number of times. So, what do these declarations really mean? If I had to guess, I would say that people tend to identify very strongly with the characteristics which are representative of their sun signs. Of course, those of us who have had our charts done know that it’s impossible to be “all” or 100% of any sign. And, to take this statement a little further, you probably wouldn’t want to be. In Aries, we have the initiator, leader and pioneer. The Ram suggests aspirations of an assertive “go-getter” who spearheads projects and delegates to others with the aim of successful completion. Aries can call on it’s opposite sign’s (Libra) qualities of instituting teamwork, cooperation and maintaining harmony to make this happen. In Taurus, there’s the energy which suggests consistency and stability. The builder and conservative who is reserved in expression, yet solid as a rock. Patient and practical with a great deal of common sense. However, he or she knows that they cannot remain in the same rigid pattern which produces inertia. Taurus can call on it’s opposite sign, Scorpio for depth perception and the capacity to transform through elimination of people, places and objects that have reached their expiration date and no longer contribute to self-empowerment. In Gemini, we have the versatile ‘jack of all trades who is driven by a compulsive need to gather information. Here we have the reporter, journalist and social butterfly. The twins are curious, witty and highly intelligent. However, Gemini can call on it’s opposite sign of Sagittarius to teach them the difference between information and knowledge. To point Gemini towards a larger understanding and context in which to place the many details they’ve acquired. In Cancer, we have the sensitive nurturer who takes care of family and fiercely protects their loved ones. Fortified by the world of emotions and imagination, Cancer can call on it’s opposite sign of Capricorn to educate them on the process of exposing themselves to the world of feelings, yet not becoming engulfed in them. In turn, this tutoring will allow Cancer to help others help themselves. Tenderly, yet objectively pointing then to the road of self-sufficiency. In Leo, we have the charismatic, self-expressive hero. Generous in sharing time and energy with others, the Lion and Lioness radiate as they feel the power of their individuality surging through their veins.Leo’s opposite sign of Aquarius can teach that these ensigns weren’t just granted for personal use, but for the good of the collective and humanity in general. The Water Bearer can show the Lion how to make the stage large enough to accommodate all. In Virgo, we have the critical thinker. Analytical, discriminating and precise with TWO eyes for detail. In Libra, we have the diplomat. Charming, peaceful and tactful. Able to navigate virtually any social situation with grace,the scales have an entire etiquette class stored in their brain. Libra’s opposite sign of Aries grabs them off the proverbial “fence” that they’ve been riding all night and shows the scales how to make their wishes known and start a sentence with “I”. In Scorpio, we have the probing, investigating depth psychologist. The scorpion’s breakfast consists of passion pancakes and intensity tea. Their ability to get to the bottom of people and situations is second to none. However, the opposite sign of Taurus can teach the scorpion that maybe your next door neighbor didn’t mean anything else than “good morning.” The bull can bring stability to Scorpio and ease it’s emotional turbulence by providing the grounding of the earth. In Capricorn, we have the CEO, the achiever and the producer. Caps are In the office sipping on coffee at 6 am reading the Wall Street Journal in their traditional dark blue suits. 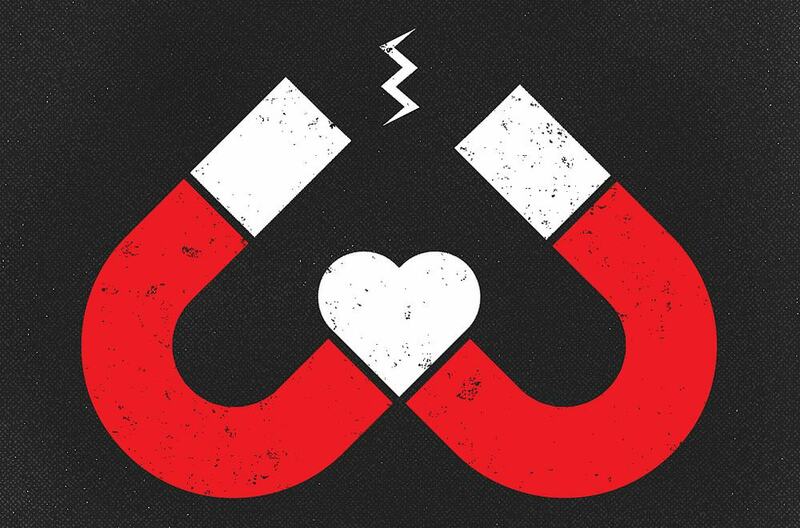 A master at delaying short-term gratification in exchange for long term value, the goat has reached success through self-discipline and becoming his own inner authority. Capricorn’s opposite sign of Cancer teaches how to tenderly give of themselves and protect others in a sensitive way without relinquishing their title. Only adding another dimension towards their wholeness. In Aquarius, we have the activist, revolutionary and the rebel. Willing to fight with”the people” for a common cause. Although relating to individuals on somewhat of an impersonal level, the water bearer is a true friend to humanity. Aquarius’ opposite sign of Leo can teach him that sometimes you have to be your own best friend. Also, it’s okay to let your light shine above the crowd every now and then. Leo says: It’s okay to lend your talents to the collective, but you have to be able to embark on a repo mission at any time to take your skills back for personal use ! In Pisces, we have the creative musician, imaginative artist and the compassionate healer. The fish have the capacity to travel the invisible realms of life and return with a full report. Pisces realizes that were all bound together by cords. That all manifestations of life are spiritual in nature, and that term must be broadened and a wider net must be cast. Virgo, the opposite sign of Pisces can teach the fish the value of rational analysis and provide the much needed filters of discrimination. Virgo says to Pisces: the expression of spirituality and intuitive faculty does not excuse us from having to separate the wheat from the chaff.